at Trinity United Methodist Church, 47 East Main Street, Stony Point, NY. 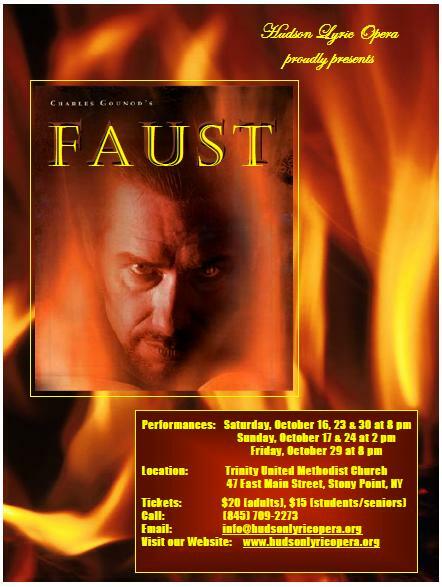 Click here for a "Faust" flyer. Note to Performers: Downloads has Schedule for Next 2 Weeks, Sept.21-Oct.3.